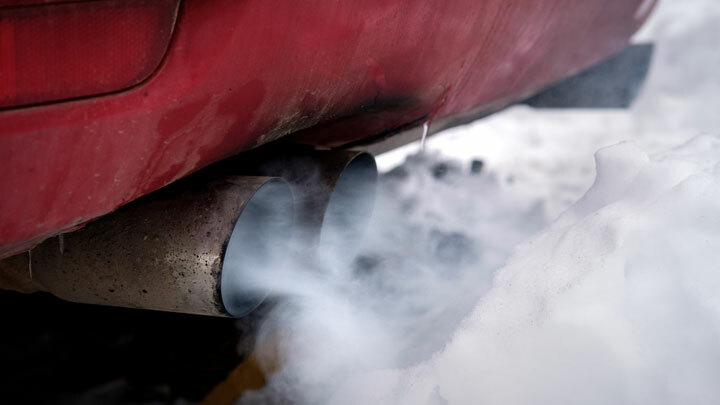 If you start up a vehicle with a gas engine and you notice white smoke blowing out of the exhaust pipe, there are a few reasons why this could be happening. One reason for white smoke is very common and completely harmless. 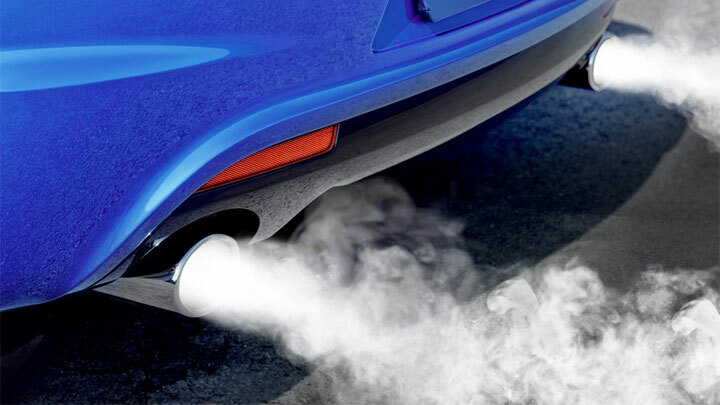 But there are other times when white smoke is coming out of your car’s exhaust that you do need to pay attention to as it can be a sign of a major problem. This is a common occurrence, especially in colder climates. When it’s cold outside and you notice white smoke at startup, then you probably have nothing to worry about. When the warm or hot exhaust gases meet cold outside air, condensation and steam is a result. After a short amount of driving, the white smoke should lessen. It’s common for drivers who have lived in a warm climate like California and then move to colder region to worry about this but it’s harmless and perfectly normal. If you continue to see white smoke coming out of the pipe after the engine has had a chance to warm up or while accelerating, then your coolant might be leaking internally. The most noticeable symptom of internal coolant leakage is when the white smoke is billowing out of the exhaust pipe and leaves a sweet odor in the air. If you the white smoke consistently comes out and the sweet odor smell is present, then it is definitely a problem with your coolant leaking. 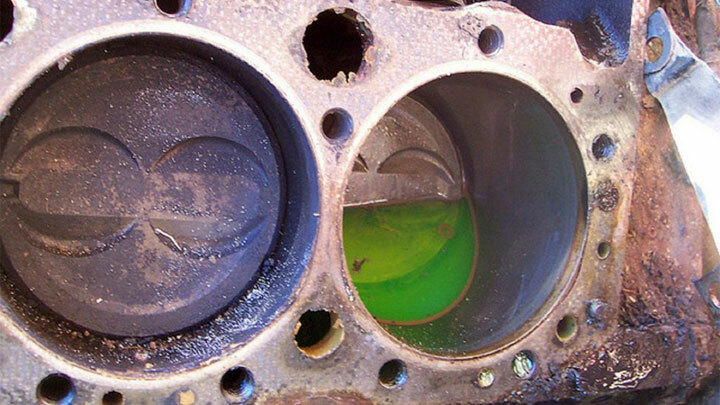 The reason why coolant usually leaks is because there could be a crack in the cylinder head or even engine block. Even if the crack is small, the internal coolant can easily leak out and contaminate the oil of your engine. This is how the exhaust smoke ends up turning white. The combination of the coolant and engine oil will create a milky appearance in the smoke. All it takes is for just a little bit of coolant to get into the combustion chamber for white smoke to be produced. Once you have a low coolant level and a cooling system that isn’t being maintained properly, your engine will begin to overheat. This will cause your head gasket to fail because they won’t be able to seal properly when they’re overheated. As a result, your engine will get worn out much faster and its internal components will get damaged. 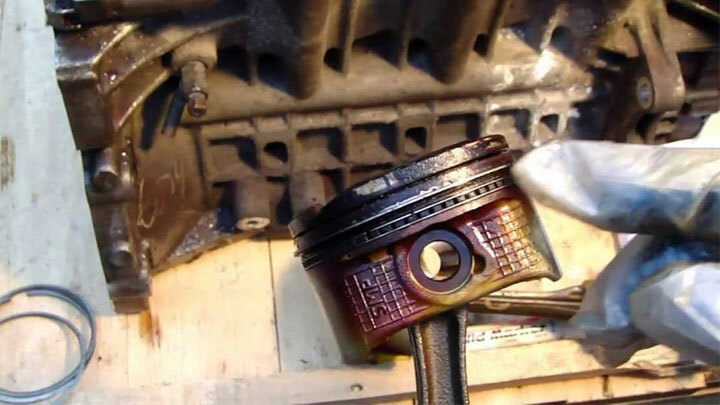 Leaking valve seals or piston rings are another possibility when it comes to smoke. In this case, bad seals or piston rings cause oil to leak into combustion chamber which then mixes with fuel and burns. The result is a white or light bluish smoke that comes out from exhaust manifold. If you want to fix this white smoke problem, the easy solution is to take your vehicle to the nearest auto body shop as soon as you notice it. But if you are trying to fix this yourself, never try to remove the coolant reservoir cap with the car still running because the engine will be too hot and it will cause you serious injury. Once the car has had a chance to cool down, check the reservoir and see what the coolant level is at. If the coolant appears to be at the normal level, then you’ll need to have a cooling system pressure checked performed so you can pinpoint where the coolant leaks are coming from. A faulty fuel injector, usually one that is stuck open or is leaking from the o-ring, will deliver too much fuel to the combustion chamber. This excess fuel cannot properly burn in the engine and instead comes out as white or gray smoke out of your tailpipe. Replacing the bad injector (or its o-ring) is the solution. The hard part is figuring out which fuel injector is bad so depending on vehicle mileage, many mechanics will recommend replacing all the injectors since they’re not very expensive in most cases. A diesel engine requires precision timing and fuel pressure of the injector pump. When the timing is not what it’s supposed to be, your engine will essentially be running rich which will cause fuel to not completely burn and instead exit out of the exhaust as white or gray smoke. Thank you, the info was helpful. Is there any lubricant or anything else that can be mixed with fuel or engine oil or coolant to reduce the white smoke emission. If a coolant leak, no. 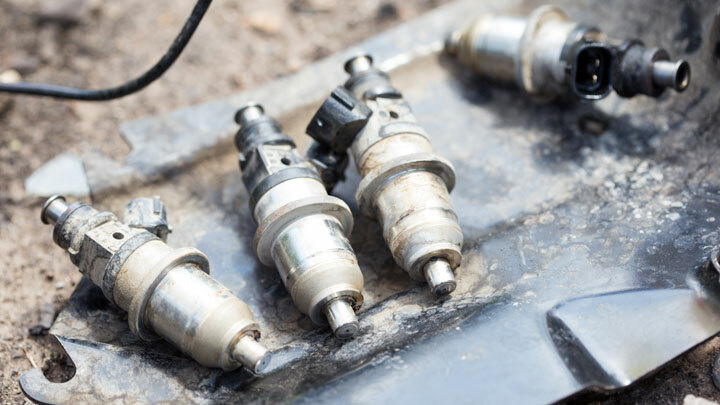 If the issue is with the injectors, you could try a fuel system or fuel injector cleaner in case there’s some buildup causing an injector to leak or remain open.